"The enemies of Africa wish to persuade the world that five out of the six thousand years that the world has existed, Africa has always been sunk in barbarism, and that ignorance is essential to the nature of her inhabitants. Have they forgotten that Africa was the cradle of the arts and sciences? If they pretend to forget this, it becomes our duty to remind them of it." The belief that Africa had no history prior to the arrival of Europeans on the continent was propagated in order to justify the enslavement of its people. Nothing, however, was further from the truth – the contributions of Africa and Africans to science, agriculture, social and political systems are significant. Its richness and diversity is evident in the ancient buildings that still stand to remind us of the empires and kingdoms that existed from the time of the Egyptians and before. 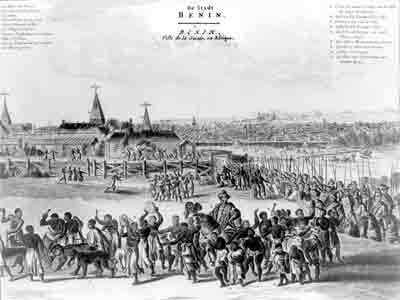 Early European visitors marvelled at the sophisticated societies, architecture, trading systems and academia of the Songhai, Mali, Benin and Ife kingdoms. 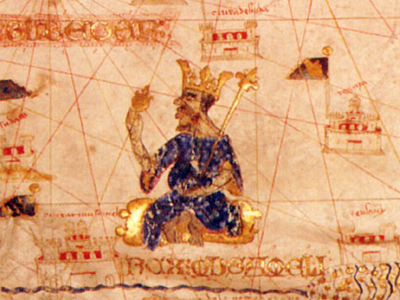 The kingdom of Mali was reputed to be one of the richest and most powerful states in the world. The University of Sankore in Timbuktu was at the centre of scientific innovation; where Aristotle was studied along with astronomy, law and philosophy, at roughly the same time of the European medieval and Renaissance periods. The pamphlet was an important abolitionist tool in the presentation of Africa as a continent of diverse peoples and societies with unique customs, and abundant with natural resources. It was hoped that this knowledge would let the reader understand that Africa was more than just a place where its inhabitants could be captured and enslaved. “That African abounds with treasure which accident has already discovered”, wrote Thomas Clarkson in An essay on the impolicy of the African slave trade, in two parts. “The barks, woods, roots, fruits and leaves have hardly been noticed by any naturalist; and the stones, earths, bitumen and ores have not been so much seen by the eye of the chemical observer". Mothers were not unlike those in England in their concern for the welfare of their children – “the women assist each other in the education of their children, in which they take great pains”, asserted CB Wadstrom, in his Letters Relative to a Voyage Undertaken to Africa in 1787. It was suggested by some authors that trading material goods with Africans was a better alternative to trafficking. “If their princes were allowed to trade freely and unmolested – not in slaves, but in the products of their fertile country – would they not willingly yield us their beauteous woods, their oils, gums, perfumes and precious stones?” asked John Lowe in his tract Liberty or Death. "That Africa abounds with hidden treasure…..."
"a description of Cape Mezurado"
"the same wealth may be acquired by trading to Africa; not for its living inhabitants, but for their manufactories"
"if their princes would allow them [their subjects] to trade freely and unmolested – not in slaves"
"They seldom sell their family slaves, except for great crimes "
"The author never heard of but one that ever sold a family slave, except for such crimes as they would have been sold for if they had been free"